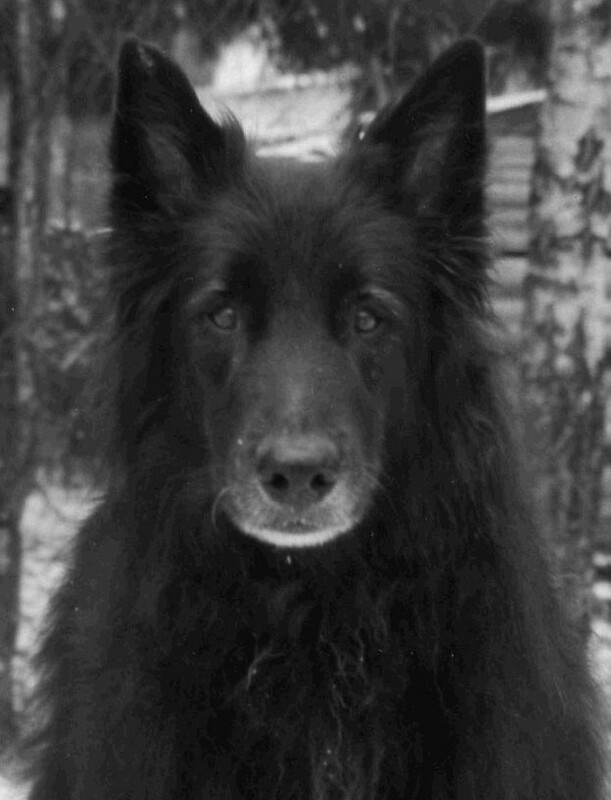 Lucky was my first dog, which I got when I was 14 years old. With Lucky I walked into endless world of Belgians. Lucky was reserved with people and he had high desire to defence action. but females always falled in love when they saw Lucky. the dock, dropped the ball to the water and wait until the ball was far enough. He started to bark and then we jumped to the boat and got the ball from the lake. Lucky loved also to swim and in our summer cottage he swam a lot just by himself. Once he brought me lily pad from the lake, what a gentleman he was. Lucky was home pet, but we competed a little in obedience and search.